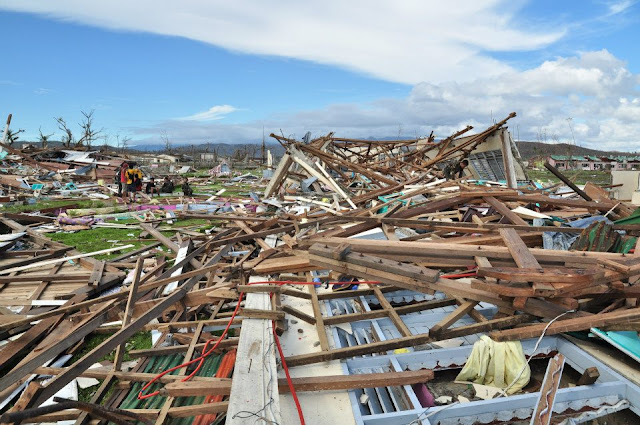 Its ten days to go before Christmas but we are very deeply sadden by the huge devastating effect of Typhoon Pablo to our Kababayans in Davao Oriental and ComVal provinces. Death toll rises fast while hundreds still missing. Public infrastructures, agriculture, business establishments, and countless homes were left in unimaginable conditions, all are eradicated and displaced aftermath. The unprepared citizens cannot imagine how this happened to them since their place is typhoon free for a decade. Helping the survivors towards recovery, the government, NGOs and generous private sectors are now combining their efforts to send relief goods by any means. Even our neighborhood Asian countries are now helping our fellow countrymen for the relief and retrieval operations however, looking at scenario you can say that still its not enough even just to feed them daily. People are now begging on the streets and if they saw trucks carrying goods ngkakagulo sila dahil sa hirap, dumarami narin ang insidente ng nakawan that even the NFA warehouse were ransacked by the citizens to get rice. Some people now begins to leave their hopeless town..Some still didn’t found their missing family, relatives and friends…crying for help and hope. Lets help them to see hope, Lets pray and help them by our heartily given donations!!! If there is a WILL there’s always a way to HELP. Just yesterday our company decided to give out more than 50% of our Christmas Party budget for the victims and as an employee we even agreed voluntarily to donate cash directly from our payroll, for we believed that it’s a just and a very noble cause to help someone this Christmas and let God do the rest. The link below are the Governments, NGOs and Private companies that receives and distributes relief goods for the calamity victims..DONATE NOW!